CHINESE: Xia gan cao, Zhan hu cai, Hai lim cho, Xi xian cao. Put is an erect, hairy herb about 60 centimeters in height, with spreading branches below. 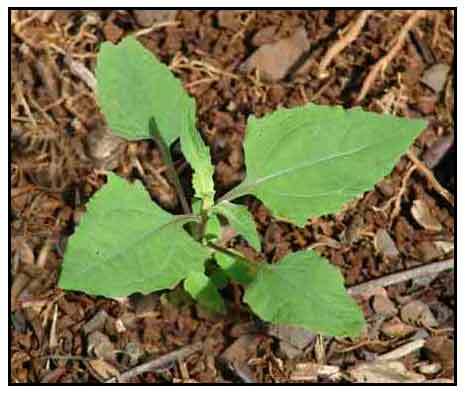 Leaves are opposite, somewhat arrow-shaped, 3 to 10 centimeters long, and pointed at the tip, the base running down on the petioles. Flowering heads are yellow, small, somewhat rounded, and 5 to 6 millimeters in diameter. Involucral bracts are very dissimilar. Ray flowers are red beneath, very short, recurved and 3-toothed. Achenes are each enclosed in a boat-shaped bractlet which is hairless and slightly rough. - In open, waste places, fallow fields, etc., chiefly at medium altitudes, ascending to 2,100 meters. - In the Philippines, found in the Batan Islands; In Benguet and Bontoc Subprovinces, Abra and Rizal Provinces in Luzon; and in Mindanao. - Introduced by the New World. - Found in the Old World Tropics. - In 1885, a crystalline bitter principle, darutyne (darutine), was isolated from the plant. - Study isolated four crystalline substances and a flavanoid, 3,7-dimct/ylquercetin(I), together with inorganic salts, potassium nitrate, and two unknown terpenoids. - Seeds and flowers are sticky. - Considered alterative, antiseptic, aperient, depurative, sialagogue, tonic, vulnerary. - Studies have suggested immunosuppresant, antibacterial, antiallergic, anticancer, anti-inflammatory, analgesic, wound healing, antihyperuricemic, phytoremediative, antimetastatic, neuroprotective properties. - In the Philippines, leaf decoction used as alterative; in lotion form, used as vulnerary. - Used for diseases of the urethra. - Aqueous extract, in syrup, sometimes combined with potassium iodide, used as alterative, sudorific, and antisyphilitic. - Roots used for abscesses. - In Europe, mixture of equal parts of a tincture and glycerine used externally for ringworm and other parasitic eruptions. - As antiseptic, fresh plant applied to unhealthy ulcers. Decoction of leaves and young shoots, used as lotion for ulcers and parasitic skin diseases. - In La Reunion, reputed as sialagogue, vulnerary, tonic, aperient, and depurative. - Juice of fresh herb used as a dressing for wounds, where it dries leaving a varnish-like coating. In China, long known as a remedy for ague, rheumatism and renal colic. Used for worm fever, loss of appetite, to relieve wound pains, chronic malaria and extremity numbness. Also, used as anthelmintic, tonic antidote, analgesic, and for treating gout and rheumatism. - In Perichon's Sirop depuratif vegetal, used for venereal and scrofulous affections. - In Indo-China, whole plant prescribed as cardiotonic. - In Tahiti. 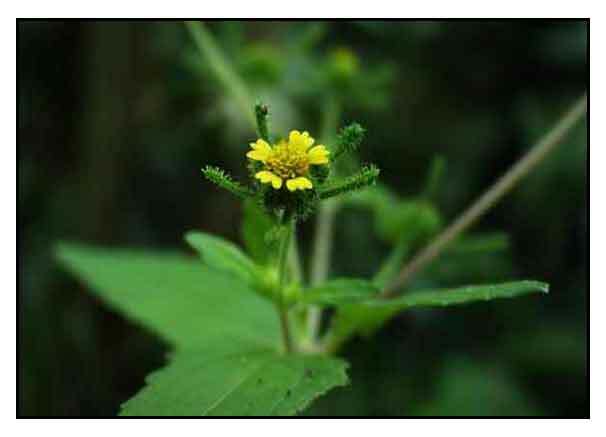 plant is an ingredient for herbal preparations used for wounds, sprains, dislocations, and contusions. - Used to induce menstruation. - In Britain, with glycerine, used for ringworm. - In Marutius Islands, used for syphilis, leprosy and other skin diseases. - Used externally to soothe inflammation and facilitate wound healing. - Used by Creoles as protective covering for wounds, burns, etc. Leaves applied to the skin provides a covering similar to collodion, called 'colle colle' - stick stick. - Skin / Stretch Mark Remover: An ingredient in many skin care products with claims made as stretch mark remover. • Anti-Stretch Marks: Study claims SO extract is beneficial in restructuring the collagen matrix, aids in wound healing, tissue regeneration, restoring skin elasticity, with claims of a more than 50% decrease in length and degree of indentations of stretch marks, a decrease in depth and increase in smoothness. Creams and extracts in the cybermarket. Studies on liposoluble constituents from the aerial parts of Siegesbeckia orientalis L / Guo Da, Zhang ZG et al / Yao Xue Xue Bao. 1997 Apr;32(4):282-5. Inhibitory effect of immunoglobulin E production by jin-deuk-chal (Siegesbeckia orientalis) / Hwang WJ, Park E J et al / Immunopharmacol Immunotoxicol. 2001 Nov;23(4):555-63.